Last year I made a commitment to start an annual four-part summer column series that featured my top-10 New Orleans dinner, lunch, brunch, and breakfast restaurants on four consecutive weeks. The columns were well received and have been accessed on my website hundreds of times. When people use recommendations I’ve made— whether locally or abroad— as a reference, it makes my day. I love turning people on to the places that I enjoy, as much as I truly appreciate recommendations from others on places I should visit. The research for the 2018 summer lists are behind schedule, and it’s all Donald Link’s fault. I’ve been in a breakfast rut lately. I have tried to spend the last year searching out new breakfast favorites in New Orleans. Unfortunately, Link’s bakery concept, La Boulangerie, has proven to be a major obstacle in that search. Link owns Cochon, Peche, Cochon Butcher, and Herbsaint, great restaurants, all. But it’s the bakery that has put me in this rut. 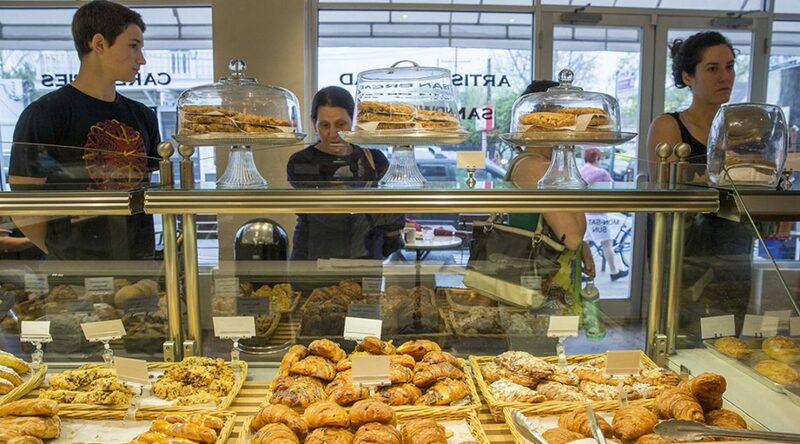 Last year La Boulangerie wound up as #2 on my list of top-10 favorite New Orleans’ breakfasts. It landed just behind Toast, a funky little joint located in a small converted house on Laurel Street, Uptown. Since the breakfast column was published last August I haven’t returned to Toast. It’s not because Toast made any changes to the menu or had any lapses in food quality or service. It’s just that I can’t make myself stop eating breakfast at La Boulangerie. 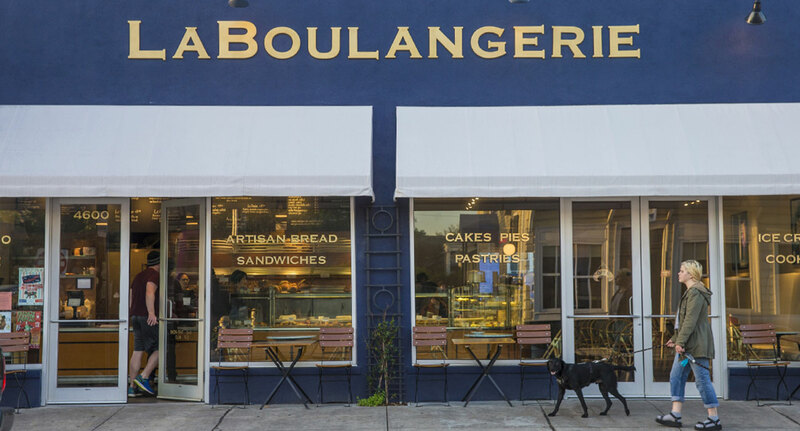 La Boulangerie is a legit bakery on Magazine Street, two blocks west of Napoleon. Maggie Scales, the pastry chef for all of Link’s concepts, is a partner and runs the show. Link’s group took over the bakery in 2015 from the previous owner, Dominique Rizzo. The formerly cramped dining-room space has been recently expanded, adding more elbow room and making it a perfect spot for breakfast. The line to order gets long at times but moves pretty fast on most mornings. The only negative I draw from any visit to La Boulangerie is the beverage service and coffee pick-up seems awkward, inefficient, unorganized, and confusing— especially for first-time guests. There are several bakeries in New Orleans that bake French bread, king cakes, pies, and pastries. But I haven’t found one that prepares croissants and loaf breads as well as La Boulangerie. That is why I am in a rut. I was in New Orleans for three days over the Memorial Day weekend. That gave me three mornings to try new— and undiscovered to me— places for the 2018 breakfast list. I ate at La Boulangerie on the first morning because I told myself that it had been a few weeks since I had eaten there, last. There are over 15 breakfast restaurants on my to-do list before August. Nevertheless, I went to La Boulangerie on the second morning because the breakfast on my first morning had been so good. On the third morning, I was headed back to La Boulangerie to complete the trifecta, but made myself turn the truck around to knock out one of the restaurants on the to-do list. It’s not a convenience thing. My apartment is almost five miles away in the Marigny. La Boulangerie is Uptown. I pass several dozen breakfast joints on my way to that bakery, but the croissants at La Boulangerie are as good as any I have eaten anywhere in Paris, or anywhere in France for that matter. Trust me, I never use conjecture or hyperbole when writing about European breakfasts. The pastries at La Bouloangerie are that good. Maybe better. One morning a few months ago they were out of croissants for a minute, and I ordered an English muffin. Unlike croissants and brioche, I haven’t eaten English muffins all across the European continent— or maybe anywhere outside of London. Nevertheless, it was the best English Muffin I have ever eaten. Period. End of story. After that morning, I started adding a toasted English muffin with butter and jam to go along with my warmed croissant. To me, it’s the perfect bakery breakfast, and La Boulangerie nails it. I usually leave with a bag full of sliced whole wheat bread, several quiches, and— if my son is travelling with us— a few ham and cheese croissants. Breakfast brings out the habitual creature in me. Over the past 56 years, at least a decade of my youth was spent eating a special oatmeal concoction I used to prepare at my home in the morning. Up until its closing last summer, I spent at least four mornings a week for 10 years at a real-deal French bakery across the street from my office in my hometown of Hattiesburg, Mississippi. I am writing this column from the bagel shop in downtown Hattiesburg where I have eaten several hundred breakfasts over the years. In a few weeks, I’ll be opening a breakfast place and a donut shop. It’s a project I have been working on for 15 years that is finally being realized. My breakfast habits will take a different turn now that I will be working in the mornings and not dining. Though, once the honeymoon period is over, I’ll look forward to becoming a customer in my own breakfast joint (as much as I can be a customer in one of my restaurants). 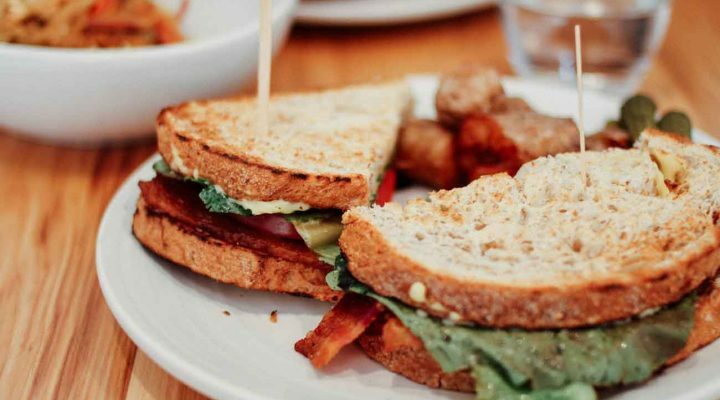 Your mom was right when she said, “Breakfast is the most important meal of the day.” It’s also the most habit-forming meal period of the day. Whenever I am out of town I always go to the front desk of the hotel and ask where the local breakfast joint is located. I want to go to that place where the old men gather and talk about sports and politics over coffee. That is where I truly learn about a place and its people. Whether I am in Tavernelle Val d’Pesa Tuscany, Balthazar in SoHo, or on Magazine Street in New Orleans, legit breakfast joints “feel” like that region or neighborhood. 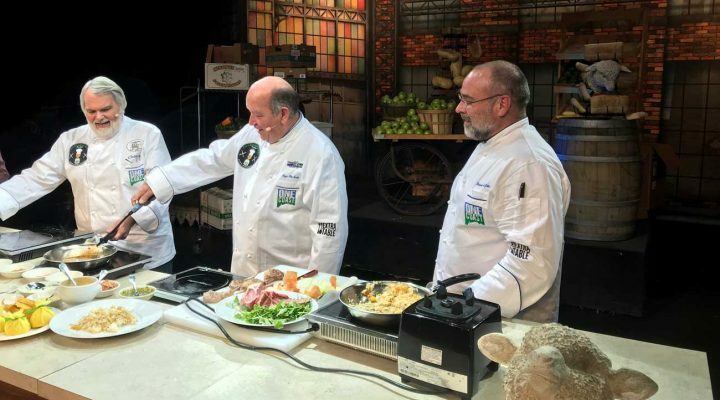 When the food is world-class, it makes the experience so much better.